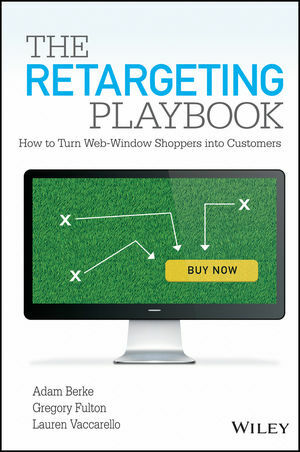 The Retargeting Playbook is a complete guide for digital marketers about how to reach the 95 to 98 percent of people who leave a brand's website without converting. Retargeting gives advertisers the ability to stay in front of those people to bring them back and close the deal. For that reason, retargeting has emerged as a must have marketing channel, yet there is a lack of content that explains how the technology actually works and best practices for using it. Even marketing managers at large, sophisticated brands and agencies don’t have a strong grasp of this evolving channel, and there are few good neutral sources on the topic. Meanwhile, retargeting is the cornerstone of any holistic digital advertising strategy since it improves the results of every other channel if implemented correctly. Unfortunately, most marketers are only utilizing the most rudimentary retargeting tactics and barely scratch the surface of its potential. This book will be required reading for media buyers at digital agencies, in-house marketing managers at companies in any vertical, performance marketers, and ecommerce managers.